4k00:18NEW YORK - OCTOBER 11: Aerial view of Manhattan Bridge in autumn on October 11, 2015 in New York. 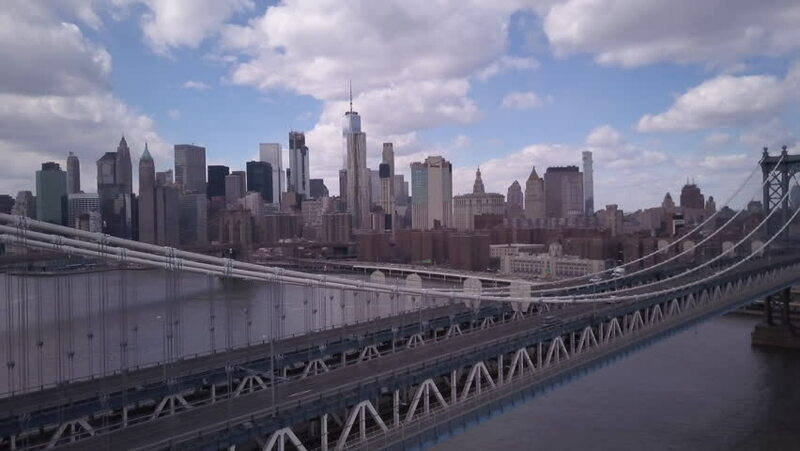 Camera moving across the bridge approaching Brooklyn bridge, beautiful panorama of Manhattan. 4k00:17NEW YORK - OCTOBER 11: Aerial view of Manhattan bridge on October 11, 2015 in New York. Camera moving along the bridge and turning left, panorama of Manhattan and Brooklyn bridge. 4k00:10BROOKLYN, NY - Circa July, 2014 - Traffic passes over the Brooklyn Bridge.